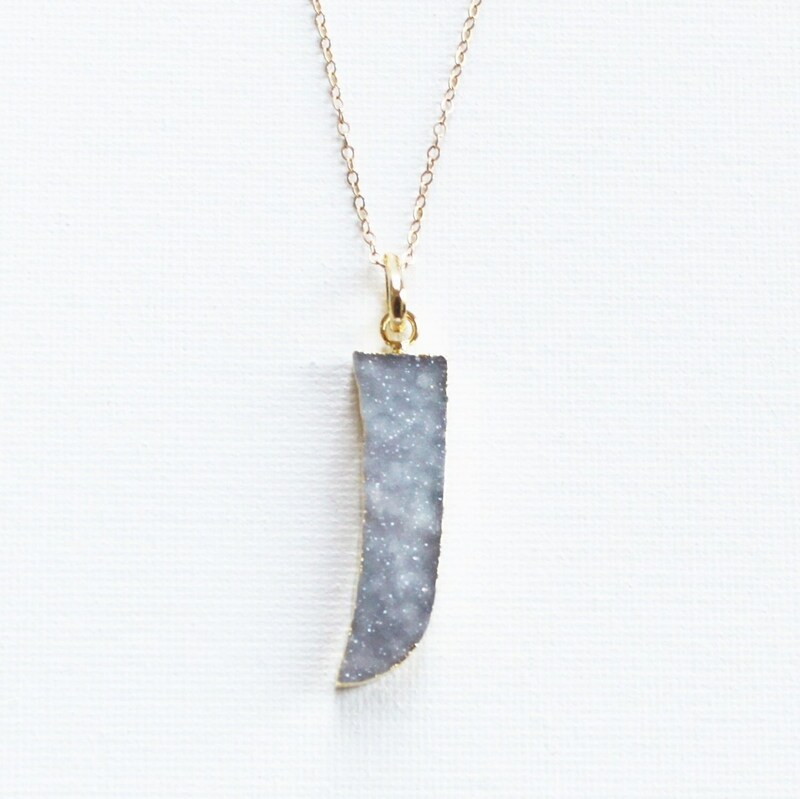 This long druzy necklace is a an edgy and chic design that adds sparkle. 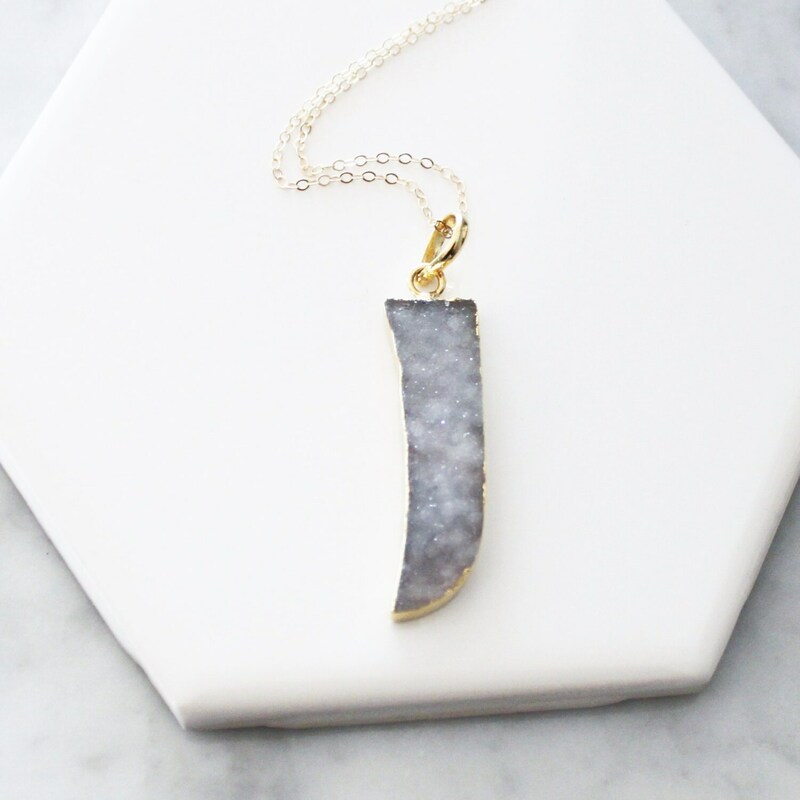 This druzy horn pendant is light gray in color so it goes with everything. Druzy crystals are known to bring light and joy! 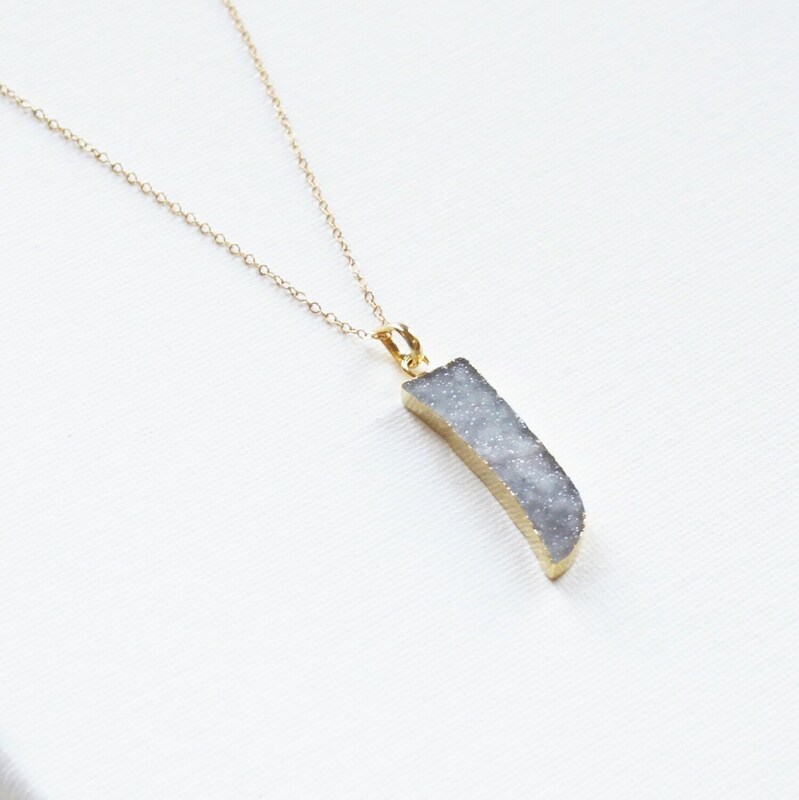 -Light Gray natural druzy tusk gold pendant. --Wear it layered with you favorite piece or alone. This listing is for one horn necklace, styled with other necklaces for ideas. 19mm disc necklace at 18"